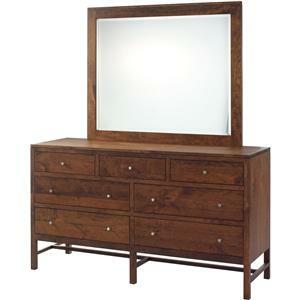 This immaculate chesser and mirror set features the finest elements of design. 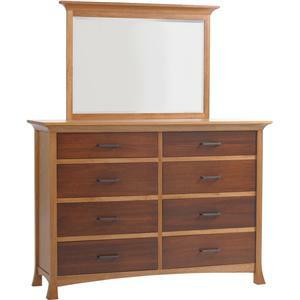 Crafted from quality hardwoods, the chesser offers the appearance of a combined chest of drawers and bedroom dresser. 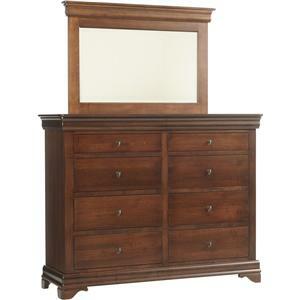 Its nine drawers are decoratively adorned with fine pull hardware. 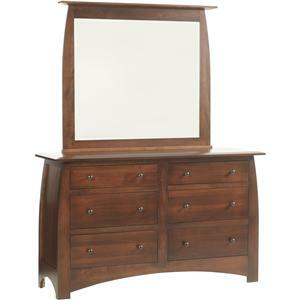 The mirror features a smooth wood frame with a finely curved top and elegant molding. The vast glass surface has beveled edges to add interest and shine. 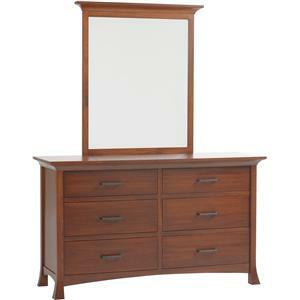 With a unique style and superior functionality, this elegant chesser and mirror set is sure to be a welcome addition to any bedroom. 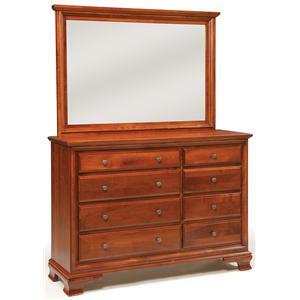 The Elegant River Bend Chesser with 9 Drawers and Mirror by Millcraft at Saugerties Furniture Mart in the Poughkeepsie, Kingston, and Albany, New York area. Product availability may vary. Contact us for the most current availability on this product. 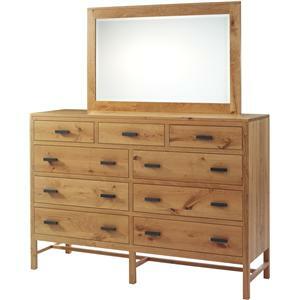 Browse other items in the Elegant River Bend collection from Saugerties Furniture Mart in the Poughkeepsie, Kingston, and Albany, New York area.